Knorr-Bremse India Pvt. Ltd. & Anr. vs. ACIT & ANR. Radhika Suri, Sr. Adv. With Rinku Dahiya, Adv. for the Assessee: Tejinder K. Joshi, Adv. for the Revenue. 1. 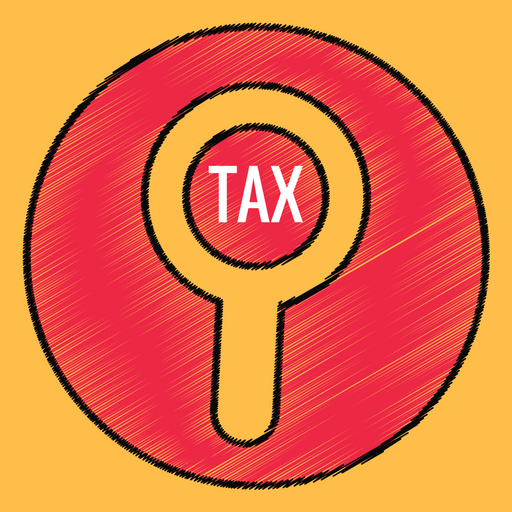 These are cross appeals under Section 260-A of the Income Tax Act, 1961, against the order of the Income Tax Appellate Tribunal (ITAT) allowing partly the assessee’s appeal against the order of the Assistant Commissioner of Income Tax assessing the assessee’s income at Rs.6,25,65,160/-and initiating penalty proceedings. The appeals pertain to the assessment year 2007-08. The assessment order was passed in accordance with the directions issued by the Dispute Resolution Panel (DRP) which in turn were passed on the objections filed by the assessee against the draft assessment order of the Assistant Commissioner of Income Tax-the AO which in turn was in accordance with the order of the TPO-Additional Commissioner of Income Tax. The Assessing Officer (AO) had made a reference to the TPO for determining the arm’s length price (ALP) of certain international transactions entered into by the assessee with its associated enterprises (AEs). (i) Professional consultancy of Rs.1,52,07,206/-(ii) Management fee for support services of Rs.1,40,56,800/-. “1. Whether in facts and circumstances of the case the Income Tax Appellate Tribunal was correct in law in holding that the Transfer Pricing Officer could apply the CUP METHOD (comparable uncontrolled price method) to analize three international transactions relating to operating costs separately even though NPM (operating profits to sales ratio) as PLI under TNM had been accepted on all other international transactions when aggregated together? We have not dealt with each of these questions separately in view of our findings on certain questions of law. These questions of law would be relevant in determining the correctness of the orders of the Transfer Pricing Officer, the Dispute Resolution Panel and the Tribunal in respect of the determination of the arm’s length price by them and, therefore, also in answering the questions of law raised in the appeals. The determination of the arm’s length price by the authorities is based on certain findings of law which we have dealt with in the judgment. The entire computation of the arm’s length price, therefore would have to be reconsidered and reassessed based on our findings. We are, therefore, left with no alternative but to remand the matter to the Tribunal for fresh consideration in light of our findings on the questions of law. The assessee is a wholly owned subsidiary of Knorr-Bremse Asia Pacific (Holding) Limited (KBAP). KBAP was formally known as Knorr-Bremse Far East Limited. It carries on business inter alia of manufacturing air brake sets for passenger cars and wagon coaches, shock absorbers for passenger cars and locomotives, distributor or valves, computer control break system, tread break units and brake accessories. The assessee’s business is segregated into two parts, namely, manufacture and distribution. During the assessment year, it entered into various international transactions with its AEs. We will refer to these transactions shortly. The assessee had prepared a transfer pricing report which adopted the Transactional Net Margin Method (TNMM) considering it to be the most appropriate method for the purpose of benchmarking its activities under the manufacturing and distribution segments separately. The assessee has described its manufacturing and distribution functions as follows:-Manufacturing functions: The manufacture of the products, referred to earlier, is through its manufacturing facility in Faridabad, Haryana. For this purpose, it imports raw material and components mainly from its group companies. About 40 to 45 per cent of the assessee’s purchases were of imported goods of which about 90 per cent were from its group companies. Ninety-three per cent of the purchase from the group companies was from Knorr-Bremse Systeme Fur Schienenfahrzeuge (KBSFS) and New York Air Brake. For the purpose of manufacturing, the assessee relied on the technical support and assistance provided by its group companies. The assessee also exports the manufactured goods to its AEs, imports components and spares for the brake systems from its group entities on a free-of-cost basis for replacement of spares for brake systems sold earlier by the group entities and supplies goods as samples on a free-of-cost basis to its group entities. group companies certain brake systems for distribution in India based on firm orders from domestic customers. It also procures goods from unrelated third parties in India and exports the same to its group entities. As these purchases are against firm orders, the assesse does not maintain an inventory for the same. Uncontrolled Price Method (CUP Method). The assessee’s contention is that the entire matter ought to have been determined by the TNMM. 6. While benchmarking the international transactions in its manufacturing segment, the assessee selected five independent comparable companies, the mean profit level indicator (PLI) of which was 8.47% against the assessee’s margin of 9.01% from its manufacturing operations. With reference to its distribution activities, the assessee selected the comparables whose mean PLI was 3.53% against the assessee’s margin of 5.20%. The assessee accordingly contended that its transactions with its AEs were more competitive than the ALP. 63,000.00. This, she contended, established beyond doubt that the amount paid was not only reasonable but was, in fact, lower than what Ms. Rita Ricken is paid by the AE. There is no question, therefore, according to her, of the amount paid being more than the ALP. The bills also indicate the days spent by these professionals and the hours worked by them. 8. Item-11 of the table refers to the management fee for support services which was also separately assessed by the authorities by applying the CUP Method. The assessee’s case, in this regard, is that during the assessment year, it availed management support services from its said AE KBAP which acted as a regional service centre for providing management and operational support services to its group companies in the Asia Pacific Region. These services are provided under a management support agreement dated 01.01.2003 and includes business development, marketing, project management services, human resource support services, accounting, financial support and controlling services and IT support services. Service fee was paid by the assessee to KBAP computed on the basis of the expenses incurred by the KBAP. The assessee’s case is that the expenses were based on the time spent and expenses actually incurred. Documentary evidence in this regard was also produced before the authorities and in these appeals. 9. The assessee’s case is that these transactions were inextricably linked to the manufacturing and distribution functions performed by it and they were, therefore, aggregated and analyzed with the assessee’s manufacturing and distribution functions. According to the assessee, there is no direct comparable as per the CUP Method for transactions of this nature. Further, the transactions being closely and intrinsically linked with the core business activities, the FAR analysis stipulated under Rule 10B(2) read with Rule 10A(d) calls for an aggregation. Further, still, according to the assessee, the various international transactions jointly contribute to the profitability of the manufacturing and distribution activities and the PLI. Lastly, it was contended that the PLI margin of manufacturing or distribution activities cannot be computed unless all direct costs attributable thereto are also considered along with it. The assessee referred to the transfer pricing study in support of its contentions. “1. Identify each of the Services actually received by you from the AEs for which the amount has been paid. Please submit the contemporaneous documentary evidence to show that these services have actually been received by you. Please state the details of payment made by you for each of the availed services. Please furnish the copy of account of the AEs (providing the services) in your books of accounts and your copy of accounts in the books of AEs (providing the services). How the payment has been quantified? Also please state as to whether any cost benefit analysis was done? If so the details thereof should be furnished. The cost benefit analysis should be (a) with reference to the cost of the services and benefit received there from and (b) services received from AEs vis a via (sic) independent parties. Whether any such services have been availed from independent parties? If yes the details of such expenditure may be furnished. Furnish the copy of agreement with AEs for receiving such services. Please state as to what tangible and direct benefit has been derived by you. Documentary evidence of cost incurred by the AE for rendering each type of services purportedly received by you and the mark up applied, if any by the AE. Whether AE is rendering such services to any other AEs/independent parties. If yes the details thereof whether such payments are paid by any independent concern or entity in any other country through which Knorr Bremse/AE Group carries on similar business as that of you. If yes, copies of the agreements for such services and also the basis on which such payments are paid. The assessee furnished the details and filed a reply dated 18.10.2010. 11. Before dealing further with the order of the TPO, it would be convenient to set out the following provisions of the Act and the Income Tax Rules. “92-B. Meaning of International Transaction.—(1) For the purposes of this section and Sections 92, 92-C, 92-D and 92-E, “international transaction” means a transaction between two or more associated enterprises, either or both of whom are non-residents, in the nature of purchase, sale or lease of tangible or intangible property, or provision of services, or lending or borrowing money, or any other transaction having a bearing on the profits, income, losses or assets of such enterprises, and shall include a mutual agreement or arrangement between two or more associated enterprises for the allocation or apportionment of, or any contribution to, any cost or expense incurred or to be incurred in connection with a benefit, service or facility provided or to be provided to any one or more of such enterprises. (d) the assessee has failed to furnish, within the specified time, any information or document which he was required to furnish by a notice issued under sub-section (3) of Section 92-D.
(d) “transaction” includes a number of closely l inked transactions. 13. The TPO by his order dated 27.10.2010 noted that for the manufacturing segment, the assessee had selected the TNMM as the most appropriate method with Net Profit Margin (NPM) as the PLI. From the major international transactions tabulated above, the TPO segregated the ones at serial nos.3, 8, 11, 12 and 13 and tabulated the same separately. For the purpose of this appeal it will be convenient to set out this table as well which also indicates the payments against each of the services. The TPO noted that under the above provisions of the Act and the Rules each class of transaction has to be examined having regard to the ALP by applying the most appropriate method. He held that the said services are a class of transactions of their own and, therefore, require separate analysis. He, therefore, analysed the said segregated services/transactions separately under the CUP Method observing that the Act does not preclude the TPO from applying the appropriate method for each class of transaction like payment for these services and also to apply the TNMM at the enterprise level. He held that when a taxpayer is involved in distinct activities they have to be analysed separately by applying the most appropriate method in each case. “The assessee has stated that the these services payments have contributed to the improved client services and profitabi l ity of the assessee. The assessee has however not been able to substantiate that the payment for these services has actually increased the profits of the assessee. The assessee should have been able to show that the level of increase in profit post the these services agreement in April 2006 has increased. It has been unable to do that. The assessee has only mentioned that the gross profit has increased. Regular increases in profits are a normal incidence in business. Besides that, it has been pointed out earlier that the payment of these services is actually a payment for services. Therefore, there is actually no basis for the assessee to make a claim that its clientele have actually increased pursuant to the payment of ‘Business Service’. We will deal with these observations later. The TPO thereafter proceeded to deal with each of the segregated services that he considered separately. Regarding the professional consultancy services, the TPO observed that formal training sessions were not held for the assessee’s employees; that the cost accruing to the AE in this regard would be very small; that this kind of training would be picked up by the employees on the job and that it is not as if the employees were being given training in respect of all the maritime laws and other regulations that are prevalent all over the world; that the documents do not evidence “formal training”; that the invoices do not contain a description of the services and that the assessee had only relied upon some minutes of the meeting and monthly detailed reports of said Ms. Rita Ricken and that the assessee had supplied two pages of task-sheets which neither proved the delivery of services nor any benefit derived from the claimed services. It is also important to note that once again the TPO observed that the assessee had not been able to provide any evidence that its employees had actually been benefited from the same. The TPO held that no independent enterprise would have made the payment. The TPO then dealt with the management support services by dealing with each of the ingredients thereof, namely, business development, human resource services, accounting, financial support and controlling services, IT services and SAP consultancy services. (A) With respect to business development, the TPO merely observed that no tangible benefits have been demonstrated by the assessee. (b) With respect to human resource services, the TPO held that the assessee should not be expected to make a payout for the same and that the AE had set the standards for the protection of its interests in the assessee’s affairs; that the service can be classified as an incidental service; that the assessee had not been able to provide any evidence that the AE was providing any tangible assistance to it; that the assessee’s employees were providing all the necessary support that it was in need of for its operations in India and that the assessee had not provided any evidence that the services were actually provided. (c) With respect to accounting, financial support and controlling services, the TPO held that the assessee had not been able to bring out anywhere that the AE had some special local knowledge that the assessee lacked; that without the AEs’ support it would have been at a loss to manage its affairs and that the level of support indicated in the correspondence is expected from the AE without any charge since the assessee is a subsidiary and the SAP system was implemented because of alignment with the global network. The TPO further held that the assessee had sufficient local help to allow it to overcome the legal challenges at the local level, if any. It was further held that the kind of services referred to were at best duplicate services for which the assessee need not make any separate payment. (D) With reference to IT services, the TPO held that the assessee had not been able to provide any proof as to the complex problems that the AE had solved which the assessee would have been unable to; that the support services related to creation of codes, solving initial problems on account of implementation of SAP and that the implementation of hotline services and ongoing support were expected from the AE without any charge. The correspondence was held to be merely routine day-to-day correspondence which does not establish the services and any tangible benefits having been derived therefrom. The TPO concluded that no independent party would pay such huge amounts for the said services. (E) With respect to SAP consultancy services, the TPO observed that the assessee has mentioned that the expenses had been capitalised during the year but that during the discussion with the assessee’s authorized representative, it had been observed that depreciation was being claimed and charged to the profit and loss account during the year. The TPO held that since depreciation was being claimed, this item had a bearing on the profitability of the assessee and, accordingly, the claim with respect to the capitalised nature of assessee fees did not have any force and that the transaction had to be benchmarked. The TPO held that the circulation of the Project Report Handbook did not justify the consultancy fee received. He further held that the few e-mails between the assessee and its AE and the service agreement did not quantify the services received nor any tangible benefit received out of it. It is important to note that the TPO observed that no independent enterprise would be able to pay out a portion of its profit before it knows what is the cost incurred by the service provider and that the assessee had failed to follow this basic tenet of independent behaviour. It is also important to note that the TPO observed that India is a hub of global ITs and ITES and that it is not believable that certain problems could be solved only by the AEs. Hence, he concluded that the assessee need not have made any payment on account of this service. He emphasised that the AEs were providing assistance which could have been obtained at the local level in India. After considering the position in various other countries, the TPO concluded as under:-“Universally, such payments are being treated at arm’s length only when it is proved substantially by the taxpayer that such services were actually received and further proving that such received services have benefited it. In most of the countries like UK, USA, Germany etc it is an established position that a subsidiary does not to have to pay for the auditing, accounting and such other functions performed by the parent company as owner of the subsidiary company. If the subsidiary were an independent company it would neither require such services nor would it pay for the same. Following the discussion in the preceding paras of this order, it is concluded that the assessee has not been able to demonstrate that an independent party would have made the following payments as the assessee has done. Officer may examine the feasibility of initiating penalty proceedings u/s 271(1)(c) of the Act in accordance with Explanation 7 of the same. The Assistant Commissioner of Income Tax -AO accordingly prepared a draft assessment order dated 20.12.2010 and assessed the assessee’s income at Rs.6,25,65,160/-together with interest and also initiated penalty proceedings. The assessee filed its objections on 01.09.2011 to the draft assessment order before the DRP. The DRP by its order dated 03.09.2011 issued directions under Section 144C(5) of the Act. With respect to the TPO having rejected the assessee’s approach of aggregating the closely linked transactions, the DRP merely held that it found the reasoning of the TPO to be logical and agreed with him. Nothing further was stated. With regard to the assessee’s objection to the TPO having used the CUP Method for benchmarking certain services only, the DRP observed that the SAP licence and MS Office had been purchased at lower rates benefiting the assessee and to that extent the benefit test for the assessee was clear and that the assessee must be g i ven the benef i t. The TPO was directed to verify and re-compute the ALP, if necessary. With regard to the appointment of Ms. Rita Ricken, the DRP observed that the e-mails did not show that any sales logistics work and that she merely coordinated training sessions which were restricted to a few people and not all end-user employees. It was further observed that the TPO had analysed these services and benefits and that no cost allocation fee has been furnished to the DRP either. The assessee’s contention in this regard was, therefore, rejected. The DRP accordingly directed the AO to complete the assessment as per the directions. The AO thereafter by an order dated 03.10.2011 assessed the total tax payable at Rs.1,93,79,968/-. The assessee filed an appeal before the I TAT. The appeal was disposed of by the order of the Tribunal dated 31.10.2012 which is impugned in the present appeals. the appellant. The I.T. rules contain exhaustive detail regarding nature of information and documents which are required to be maintained by the assessee. Rule 10D(1) of the I.T. Rules, 1962 also mandates the maintainability of record of uncontrolled transactions to be taken into account in analysing the comparability of the international functions entered into by the assessee. It, therefore, is obligatory on part of the appellant to maintain such record and produce the same before the TPO to show that it has benchmarked the international transaction at ALP. This obligation, however, has not been discharged by the assessee. 19. The appeal was partly allowed by the Tribunal against which the Revenue is in appeal in ITA No.172 of 2013. The Tribunal found that the SAP licence and MS Office had been purchased at a lower rate and had benefited the assessee. The Tribunal further noted that this was, in fact, the finding of the DRP and, accordingly, the DRP was not justified in upholding the conclusion of the TPO for making addition to the assessee’s income on that account. The Tribunal, accordingly, directed the AO to delete the addition on that account and allowed the grounds raised in appeal by the assessee. 20. A reading of the orders of the TPO, the DRP and of the Tribunal makes it clear that one of the main reasons for not accepting the assessee’s case was that the assessee had not been able to substantiate that the payment for the services had actually increased its profits. As we noted earlier, the TPO, in fact, further held that the assessee should have been able to show the level of increase in profit post the said transactions. 21. We are unable to agree with this finding. The answer to the issue whether a transaction is at an arm’s length price or not is not dependent on whether the transaction results in an increase in the assessee’s profit. This would be contrary to the established manner in which business is conducted by people and by enterprises. Business decisions are at times good and profitable and at times bad and unprofitable. Business decisions may and, in fact, often do result in a loss. The question whether the decision was commercially sound or not is not relevant. The only question is whether the transaction was entered into bona fide or not or whether it was sham and only for the purpose of diverting the profits. 22. The TPO observed that regular increase in profits is a normal incidence in business. This is entirely incorrect. All businesses are not profitable. All decisions do not enhance profitability. Losses are also an incidence of business. Many are the failed business ventures of people and enterprises. 23. Enterprises, businessmen and professionals constantly experiment with different business models, theories and ventures. The aim indeed is to further the business, to enhance their profits. So long as that is the aim, it is sufficient for the purpose of the Income Tax Act. In a given case, profit may not even be the motive. Even so it would not indicate that the transactions in question are not at an arm’s length price. Whether a transaction is entered into at an arm’s length price or not must depend upon the facts of each case relating to the transaction per se, i.e., the transaction itself. Profit is only a possibility and a desired result with or without the aid of an international transaction. Every business venture is not necessarily profitable or successful. All business ventures do not succeed equally or uniformally. Indeed, if an assessee is able to establish financial or other commercial benefits arising from a transaction, it would further strengthen its case. But if it cannot do so, it does not weaken it. 24. The profit earned by an assessee could be for reasons other than those relating to the international transactions or by virtue of international transactions as well as by virtue of other factors. In that event, the assessee having profited from the venture involving the international transactions, obviously, would not establish that the arm’s length price was correct or justified. 25. It would make no difference even if the profit is entirely on account of the international transaction. In fact, even if it is established that on account of an international transaction an assessee’s venture has profited, it does not necessarily establish that the transaction was entered into at an arm’s length price. Mere profitability does not indicate that the transaction which was responsible for the enhancement of the profits was at an arm’s length price. That an international transaction has enabled an assessee to earn profit is one thing and the price paid for the same is another thing altogether. Profit is a motive and the aim of a venture. The factors that are involved in achieving this objective are the means of achieving this end. Absent any special term in the contract, the seller of goods or the provider of services is not concerned whether its purchaser profits from the use that the goods or services are put to. It is concerned with the same only in so far as the usefulness of its products and services enhances the value thereof and consequently furthers its own commercial interests. Merely because an assessee profits by the use of the goods supplied or the services rendered, it does not follow that the same were sold or supplied at an arm’s length price. Conversely, merely because an assessee does not profit from the use of the goods or services it does not follow that they were not sold at an arm’s length price. 26. A view to the contrary would cause considerable confusion and lead to arbitrary, if not illogical, results. A view to the contrary would then raise a question as to the extent of profitability necessary for an assessee to establish that the transaction was at an arm’s length price. A further question that may arise is whether the arm’s length price is to be determined in proportion to the extent of profit. Thus, while profit may reflect upon the genuineness of an assessee’s claim, it is not determinative of the same. 10B. Whether or not to enter into the transaction is for the assessee to decide. The quantum of expenditure can no doubt be examined by the TPO as per law but in judging the allowability thereof as business expenditure, he has no authority to disallow the entire expenditure or a part thereof on the ground that the assessee has suffered continuous losses. The financial health of assessee can never be a criterion to judge allowability of an expense; there is certainly no authority for that. What the TPO has done in the present case is to hold that the assessee ought not to have entered into the agreement to pay royalty/brand fee, because it has been suffering losses continuously. So long as the expenditure or payment has been demonstrated to have been incurred or laid out for the purposes of business, it is no concern of the TPO to disallow the same on any extraneous reasoning. As provided in the OECD guidelines, he is expected to examine the international transaction as he actually finds the same and then make suitable adjustment but a wholesale disallowance of the expenditure, particularly on the grounds which have been given by the TPO is not contemplated or authorised. We are in respectful agreement with these observations. The absence of profit may at the highest be a factor while considering whether the transactions were genuine or not. That would depend upon the facts of each case. However, mere absence of profit would not be a ground for holding that the transactions are not genuine and ought not to be taken into consideration in the assessment proceedings. We hasten to add that in the case before us the assessee has, in fact, contended that it has benefited from the international transactions entered into by it with its AEs. However, even assuming that this has not been established, it would make no difference. “35. The Transfer Pricing Officer’s report is, subsequent to the Finance Act, 2007, binding on the Assessing Officer. Thus, it becomes all the more important to clarify the extent of the Transfer Pricing Officer’s authority in this case, which is to determining the arm’s length price for international transactions referred to him or her by the Assessing Officer, rather than determining whether [such services exist or benefits have accrued. That exercise -of factual verification is retained by the Assessing Officer under Section 37 in this case.] Indeed, this is not to say that the Transfer Pricing Officer cannot -after a consideration of the facts -state that the arm’s length price is ‘nil’ given that an independent entity in a comparable transaction would not pay any amount. However, this is different from the Transfer Pricing Officer stating that the assessee did not benefit from these services, which amounts to disallowing expenditure. That decision is outside the authority of the Transfer Pricing Officer. …… ……. …. .
We respectfully agree with the observations. We, however, do not express any view regarding the observations bracketed by us. prepared to accept. We do not see how from this observation it follows that the assessee cannot escape its responsibility of having to show the actual benefits it had received. 32. The Tribunal has also held in paragraph 7.2 that the assessee has failed to show whether there has been any real or tangible benefits by entering into the said transactions. 33. It is obvious, therefore, that this aspect weighed considerably with the authorities in rejecting the assessee’s case even on merits. Considering these observations, we would presume that had the assessee established that the transactions had resulted in increased profitability, the assessee’s contention on merits also would have been accepted. In any event, they would have enhanced the assessee’s ability to establish the case on merits. The DRP and the Tribunal had rejected the assessee’s contention regarding the true value of the services rendered by the assessee’s AEs and its officers. It will be necessary, therefore, for the authorities to reassess even the evidence on record in the light of our decision that the mere failure to establish that the transactions resulted in a profit does not indicate that they were not at an arm’s length price. We hasten to reiterate that even if profit is established, it does not necessarily follow that the transaction was at an arm’s length price. 34. Whether the transaction was at an arm’s length price or not must be determined on relevant factors. As we mentioned earlier, the assessee selected TNMM as the most appropriate method for benchmarking the international transactions tabulated above and while doing so divided its operations into the manufacturing and distribution segments. For the manufacturing segment, the assessee selected the TNMM with net profit margin as the PLI. The assessee selected five comparable companies which had earned a margin less than that of the assessee in the manufacturing and distribution segments. It, therefore, claimed that the major international transactions were at an arm’s length price. however, two or more classes of transactions may be telescoped into a separate transaction altogether and thereby fall within yet another class of transaction. The TPO also observed that the payments towards the said five transactions, namely, those at serial Nos.3, 8, 11, 12 and 13 of the table were a class of transactions of their own and the payment for the same required separate analysis. He held that for the transfer pricing study these service transactions ought to be analyzed separately under CUP Method. He further held that the Act does not preclude the TPO from applying the appropriate method for each class of transaction like payment for services and also apply TNM Method at the enterprise level. Mrs. Suri, on the other hand, contended that the various components of a transaction cannot be subjected to different methods of transfer pricing. Thus, in the present case, she submitted that a few of the international transactions could not be segregated from the other international transactions and computed separately under the CUP Method while retaining the assessment of the remaining transactions under the TNM Method. She submitted that this approach would lead to skewed results. She submitted that assuming that the TNM Method was not the appropriate method in respect of the said transactions and the arm’s length price thereof ought to be assessed by the CUP Method, all the other transactions also must be assessed by the CUP Method. enter into one composite transaction with its AE involving the provision of various services or the sale of various goods. A party may opt for a single window facility where all the services and/or goods are provided under a composite agreement. Each of the components may even be priced differently. If it is established that each transaction was so inextricably linked to the other that the one could not survive without the other, it could be said that it formed a part of a transaction and that it was an international transaction. Take, for instance, a case where an AE offers to provide a bouquet of services and goods to the assessee each priced differently but on the understanding that the pricing was dependent upon the assessee accepting all the services and/or all the goods. In that event, it would not be open to the assessee to accept only some of the goods or the services at the prices indicated. It either takes all or none. This would normally constitute one transaction. Section 92B itself contemplates an international transaction “between two or more associated enterprises”. It is not necessary, therefore, that an international transaction must be between only two parties. There can be a single composite transaction “between two or more associated enterprises”. This is clear from the opening words of Section 92B that for the purposes of Sections 92, 92B, 92C, 92D and 92E, international transaction means a transaction between two or more associated enterprises. The subsequent part of Section 92B makes this clearer by providing that the international transaction means a transaction between two or more associated enterprises in the nature of purchase, sale, etc. and shall include “a mutual agreement or arrangement between two or more associated enterprises”. Thus, “a mutual agreement or arrangement” meaning thereby a single agreement or arrangement is contemplated between “two or more” associated enterprises. It would follow then that several transactions between “two or more” AEs can form a single composite transaction. The doubt, if any, in this regard is set at rest by Rule 10A(d) which provides that for the purposes of Rule 10A and Rules 10B to 10E, “transaction” includes a number of closely linked transactions”. Thus, the closely linked transactions can in a given situation be components of a single composite transaction. The assessee would, however, have to prove that although each sale and each provision of service is priced separately, they were all provided under one composite agreement which constitutes an international transaction. We are, however, unable to agree with Mrs. Suri’s contention that as the services and goods are utilized by the assessee for the manufacture of the final product they must be aggregated and considered to be a single transaction and the value thereof ought to be computed by the TNMM. Merely because the purchase of each item and the acceptance of each service is a component leading to the manufacture/production of the final product sold or service provided by the assessee, it does not follow that they are not independent transactions for the sale of goods or provision of services. The end product requires several inputs. The inputs may be acquired as part of a single composite transaction or by way of several independent transactions. In the latter case, the sale of certain goods and/or the provision of certain services from out of the total goods purchased or services availed of by an assessee together can form part of a separate independent international transaction. In such an event, the AO/TPO must value this group of sale or purchase of goods and/or provision of services as separate transactions. two transactions are different and, therefore, the arm’s length price of each of them must be determined separately. The question, therefore, in each case must first be whether the sale of goods or the provision of services was a separate independent agreement or whether they formed part of an international transaction i.e. a composite transaction. overall transaction in respect whereof the TNM Method was adopted and, therefore, held that it could not be segregated and valued as a separate international transaction. The judgment, therefore, does not assist the assessee. It follows, therefore, that if the TPO had correctly come to the conclusion that the said five items were not connected to the rest, he was justified in determining the arm’s length price thereof separately from and independent of the others. It would be neither logical nor rational in that event to club several independent and unconnected transactions for the purpose of determining the arm’s length price. If, on the other hand, it is established that the sale of various goods and/or the provision of services formed one composite indivisible transaction, TNM Method cannot be applied selectively to some of the components and the CUP or any other method to the remaining components. In the present case, all the items tabulated above were not provided by the same entity. They were provided by different entities. That these entities were all part of the same group is not determinative of the issue whether they were part of a single international transaction. Each party to the group is a separate legal entity. We do not rule out the possibility of there being a single international transaction where goods are sold and/or services are supplied by various entities within a group under a single transaction. That, however, would depend upon the facts of each case. The onus would be on the assessee to establish that though the goods were supplied and/or the services were rendered by different legal entities they were part of an international transaction pursuant to an understanding between the various members of the group. This would be an issue of fact for the determination of the authorities under the Act. agreements with the various group entities were, in fact, part of one single indivisible transaction. Nor was our attention invited to anything that suggests that the pricing in respect of each transaction was dependent upon or interrelated to the pricing of the other transactions with the group entities. Prima facie at least, it appears, therefore, that each transaction was separate and independent of the other. As we intend remanding the matter, it will be open to the assessee to contend otherwise. It is for the assessee to establish that though these services were provided by different entities they formed a part of an international transaction and were not separate independent international transactions. There is yet another issue of law which, in our view, is important and requires consideration. The TPO referred to the management support services. The same fell within four categories, namely, business development, human resource services, accounting, financial support and controlling services and IT services. With regard to the same, the TPO held that the assessee had sufficient local help to allow it to overcome the legal challenges at the local level. The TPO held that there was no reason to believe that the AEs provided assistance that the assessee could not obtain at the local level in India. Mr. Joshi, the learned counsel appearing on behalf of the respondent, submitted that for these and other services, the appellant could always have availed of the services of personnel and enterprises in India. length price. Absent any law, an assessee cannot be compelled to avail the services available in India. It is for the assessee to determine whose services it desires availing of and whose goods it intends purchasing. It is certainly understandable if the assessee prefers to deal with its group entities/AEs. This is for a variety of reasons which are far too obvious to state. So long as there is no bar in law to the assessee availing the services of a particular party, the authorities under the Act must determine whether the consideration paid for the same is at an arm’s length price or not. The TPO also held that no independent enterprise would pay out a portion of its profit big or small before it knows the cost incurred by the service provider. The TPO held that the assessee had failed to follow this basic tenet of independent behaviour. A purchaser of goods or of services is not concerned with the price at which its vendor of goods or supplier of services in turn acquired the same. This, at the highest, would be a factor while negotiating the purchase of goods or the acquisition of services. Even if the vendor or supplier acquired the assets or the know-how as a gift, it would be irrelevant as far as the onward sale thereof is concerned. The purchaser determines the price it is willing to pay for the goods or services independent of what the same cost its vendor/service provider. The TPO, therefore, proceeded on an entirely erroneous basis while computing the arm’s length price. We have with respect disagreed partly with the approach adopted and the legal principles applied by the authorities while computing the arm’s length price. We have also disagreed with Mrs. Suri’s contention that the TNM method ought to be applied to the various transactions merely because each of them aided and resulted in the manufacture of the assessee’s final product. It is not possible to assess the weightage given to each of these questions by the authorities while determining the arm’s length price. There is nothing on record that indicates the same. It is not necessary that each aspect would have been given the same weightage. Further, this would be so not merely in computing the quantum but also the very question as to whether the services were rendered by the AEs and availed of by the assessee. These are issues of fact which must, in the first instance at least, be determined by the authorities under the Act. either of the parties while considering the matter upon remand. Suffice it to state that the assessee has relied upon voluminous evidence which cannot be ignored. The same must be considered and analyzed. It cannot by any stretch of imagination be held that the evidence is irrelevant. For instance, the assessee has produced all the invoices and proof of payments including in respect of services rendered by the employees of the AE’s. The assessee has also established that such employees of the AE had actually visited India. Mrs. Suri also relied upon the tax structure in Germany and in India in support of her contention that the transactions were genuine. It is also difficult to understand the basis on which it was held that some of the services rendered were only shareholder activities. The nature of the services prima facie at least does not indicate that the said four transactions, which have been separated and segregated and the ALP whereof was determined by the CUP Method, were shareholder activities. We intend remanding the matter as the entire approach of the authorities in determining the ALP would be different in view of our above observations. Even the appreciation of the evidence produced and re l ied upon by the assessee would be different. For instance, even assuming that the assessee has not established that the international transactions with its AEs resulted in its having earned profit, it would make no difference. The ALP would still have to be calculated on the basis of the transactions and in accordance with the provisions of the Act. Further, it would be necessary for the TPO to determine the ALP of the transactions if they are otherwise genuine. There is another aspect which requires further clarification and elucidation. The Tribunal upheld the contention on behalf of the assessee that the TPO is no authority to judge the allowability of the business expenditure. This finding is based on the judgment of the Delhi High Court in CIT vs EKL Appliances Ltd. (supra). The relevant findings of the Tribunal, in this regard, have already been reproduced above. On the one hand, in paragraph 9.2, the Tribunal interpreted the order of the DRP to mean that the DRP has only described the circumstances under which the international transactions had been entered into so as to test the benefits that can be said to have reached the assessee and that it cannot be said to have questioned the commercial expediency of such transactions entered into by the assessee. On the other hand, in paragraph, 9.3, the Tribunal held that a perusal of the e-mails and the other contemporaneous record reveals that only the incidental and passive association benefit had been provided by the associate enterprise. In fact, the TPO and the DRP did question the commercial expediency of the transactions entered into by the assessee. Indeed, they went a step further. The TPO, for instance, held that the description in the invoices of the work done by the AEs’ representatives/employees did not really convey anything, that there was no description of the services actually rendered and that the correspondence/other documents did not prove the delivery of services nor the benefits derived therefrom. In this regard, it is also pertinent to note Mrs. Suri’s grievance that the TPO did not even seek any explanation or particulars regarding the details mentioned in the invoices and in the correspondence regarding the nature of assistance rendered by the employees of the AEs. Thus, on the one hand, commercial expediency is recognized but on the other it is held that the transactions were really not for the benefit of the assessee. The matter would have to be considered/re-considered in view of the observations in this judgment. SAP Licence and MS Office had been purchased at a lower rate and had benefited the assessee, it was not proper to uphold the conclusion of the TPO for adding the said amount to the assessee’s income. The Tribunal held that the assessee had discharged the onus that the international transactions had been benchmarked at an arm’s length price in respect of the SAP Licence and, accordingly, directed the AO to delete the addition. Had the matter rested only on the question of appreciation of facts, we would not have and indeed could not have interfered in appeal. However, in view of our findings on the questions of law in the assessee’s appeal, it would be necessary for the authorities to consider this matter afresh in the light of those observations as well. It would be necessary upon remand for the authorities under the Act to consider whether the transactions ought to be separately benchmarked or whether the TNM Method ought to be adopted in respect of the same as well. In the circumstances, the order of the Tribunal is set aside and the matter is remanded to the Tribunal. It would be for the Tribunal to decide whether to consider the evidence on record itself or to further remand the matter. Both the appeals are accordingly disposed of. This entry was posted in Sec. 144C, Sec. 271(1)(c ), Sec. 92D, Section 10A, Section 10AA, Section 10B, Section 260A, Section 37, Section 92, Section 92C, Section 92CA and tagged 380 ITR, bogus shareholders, In favour of Matter remanded, Punjab And Haryana High Court.